A Tubby Smith personal appearance, Tubby Smith speaking engagement, or Tubby Smith endorsement will reflect well on your company. To hire Tubby Smith now for any corporate appearance, fundraiser, motivational speaker event, personal appearance, autograph signing, or website endorsement please contact our celebrity agents at 1-877-6-SPORTS. We will contact Tubby Smith or contact Tubby Smith's agent and provide you with the booking fees and availability immediately upon your request. Direct Sportslink is the only sports speakers bureau and talent booking agency based in the United States securing only sports talent for corporations, associations, and organizations for motivational speaking engagements, personal appearances, and endorsements. We are the premier sports celebrity booking agency and a sports celebrity procurement expert. Accordingly, we will provide you with any relevant Tubby Smith website information and booking agent details so that you can hire Tubby Smith for your next event. Coach Tubby Smith was named the Head Men's Basketball Coach at Texas Tech University in 2013. 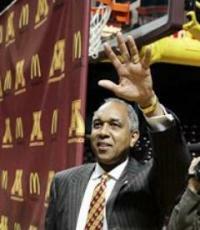 Previously, Coach Smith accepted the University of Minnesota Men's Basketball Head Coach position in March of 2007. He was 124-81 in six seasons and won 20 games five times while at Minnesota. He was fired in 2013. 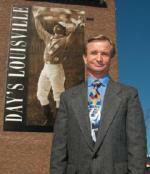 He previously was the Head Basketball Coach at the University of Kentucky since 1997. Before Kentucky, he served as head coach at the University of Tulsa and the University of Georgia. From 1991 to 1995, Smith led Tulsa to a 79-43 record. Rebuilding the basketball program his first two years, he then led the team to two consecutive Missouri Valley Conference regular season titles and two appearances in the Sweet 16 of the NCAA Men's Division I Basketball Tournament in 1994 an 1995. At Georgia, he led the Bulldogs to a 45-19 record in his two years from 1995 to 1997. 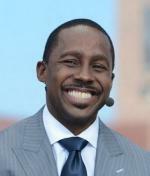 His teams achieved a Sweet 16 finish in 1996 and lost in the first round of the NCAA tournament in 1997. In his first season at UK (1998) , he coached the Wildcats to their seventh NCAA Men's Division I Basketball Championship. Coach Smith was the recipient of the Jim Phelan National Coach of the Year Award for 2005. Based on your interest in Tubby Smith as a speaker or for a personal appearance, Direct Sportslink has provided you additional links below for other sports talent with similar appearance fees, speaker topics, and categories that match Tubby Smith.